Even though initial reports suggested Chris Brown was who the shots were meant for when Suge Knight took two bullets at a pre-VMA party over the weekend, it now seems that's not in fact the case. In what should come as a surprise to no one investigators now believe Knight was the target of the gunspray all along. It shouldn't even come as a surprise it came at a pre-VMA party - Knight also took a bullet at a Kanye West function in August 2005 (an apparent robbery). When Knight isn't the recipient of violence he's often allegedly the cause of it - and for the charges he's actually been convicted of he has a rap sheet dating all the way back to October 1987 (domestic assault). He's also widely believed to have strong-armed/intimidated Vanilla Ice into giving up royalties from his song "Ice Ice Baby" - though the circumstances are in dispute (urban legend says he was hung off a hotel balcony by his ankles) that same year. It only takes a short amount of time looking at the three decade span of Suge Knight's involvement in the music industry to know that the old saying "history repeats itself" has rarely been more abundantly true than in his case. Marion Hugh Knight, Jr.'s nickname "Suge" is rather ironic because it implies he's "Sugar" or sweet, but the 6'4" 265 pound enforced on the football field proved to be just as intimidating off the gridiron - whether as a bodyguard, music mogul, or muscle for hire. Knight has always had the reputation that he's someone you don't want to mess with, and if the long list of assaults he's either been involved with or on parole for is any indication, he has little fear of doing a bid for doing a violence. Knight's success has often been because of that aura around him - he gets things done by any means necessary. That's great if you're partnered up with him (a la Death Row Records) and not so good if you're his enemy. As an entrepreneur and a business man I must somewhat reluctantly confess that I'm actually a fan of his success. The means can not be said to justify the ends, but he's certainly made (and possibly lost) more of a fortune than I will in my entire lifetime. I suspect the budget on some of Death Row's most successful albums was more than I'll make in a lifetime too - possibly even the advances or the money spent on catering at release parties. Why be a player hater though right? The albums were good, and at the height of Death Row's success, he created a lot of jobs and wealth for a lot of people. Suge Knight's goal was allegedly to create a "Motown for the 1990's" and for at least a short period of time he was that man - a true music mogul with an array of outstanding artists and the literal muscle to back it up in the boardroom. Death Row and by extension Suge Knight had it all. The death of Tupac Shakur and the departure of Snoop Dogg signaled the end of an era, and though Death Row continued to sputter along for almost a decade afterward, it existed on the diminishing returns of a recycled catalog of albums and some posthumous profiteering. A five year stint in prison for a parole violation only exacerbated the situation, and multiple lawsuits and legal problems eventually left the company bankrupt - with several parties bidding like vultures to feast on the scraps that remained. 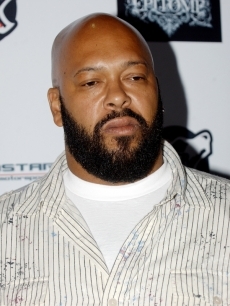 One thing that never changed though is Suge Knight's aura, and even now in 2014 at 49 years of age, he's still feared by his peers and seen as an intimidator in the world of hip-hop - just one who has to tread more carefully to not get caught up in criminal charges. One has to wonder if Knight has any regrets after this latest in a long line of violent altercations in his life where he was either the assailant or the recipient. I think it's safe to say the answer is NO. If actions speak louder than words (and frequently do) it's clear that Suge Knight's successes and failures all stem from the fact he believes in his ability to operate above the law. The only thing I wonder when I look back to the boom period of Death Row in the 1990's was if things could have taken a different direction - a sort of "alternate history" as seen in many science fiction novels these days. What if Marion Knight decided to shed his "Suge" image and persona, and adopt that of a more classic CEO and impresario? What if Tupac Shakur had never been killed? What if he had not so outraged Dr. Dre and Snoop that they wanted nothing to do with the label their hits had basically built? It's an interesting question, as one can imagine Suge Knight having a Jay-Z level of success today had it all gone right - a beautiful wife, an ownership stake in a NBA team, and the finest things in life money can buy. There have been many changes for Suge Knight to put his formidable business acumen to the forefront and his imposing criminal stature to the back, but if Knight is anything like the archetype criminals from some of hip-hop's favorite films (think Nino Brown in "New Jack City" for one), the enterprise is always doomed to crumble due to the hubris of false pride - believe you're untouchable and someone will always prove otherwise. Over the weekend Suge Knight got touched once again. It's a shame for both him and everyone who once hailed from "the mighty mighty D.R." that Knight is the best/worst business man ever. Shawn Carter took his street hustle, one which he ultimately summed up by comparing the rap game to the crack game, and applied those skills to not only pay the bills but make a whole lot of hundred dollar ones too. It's never too late for Suge though. Even in his 50's he has a lot to teach today's up-and-coming rap moguls and the time to become one again - provided the violence that has swirled around him his whole life isn't his undoing first.